Online Registrations and Payment are currently open for Football only! Please find us on FaceBook and "Like" our page in order to stay up-to-date with our announcements. 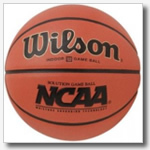 Girls Basketball is available for all St. Linus students enrolled in Grades 3rd through 8th. The lower grades, 3rd through 5th, are instructional in nature, while Grades 6th through 8th are generally more competitive. Players at all skill levels are welcome and encouraged to participate as middle school students. These players are evaluated and where registration numbers warrant, multiple teams formed based on an evaluation of basic basketball skills. Registration takes place in May and the season runs from August - October. Our third grade teams play approximately 12 games in the Mt. Greenwood league. All other grades play 30 or more games across 2 leagues. The leagues currently available to our St Linus players include the Southside Catholic, South Suburban, or Mt. Greenwood leagues. In addition to regular season and play-off games, each team is entered into at least one tournament during the season. 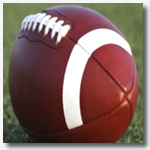 Teams, outside of the 3rd grade, participate in 2 practices and 2 games per week. For the Fall of 2018, it is open to St. Linus School students who will be in 3rd thru 8th grade next season. The girls’ basketball fees are $150 for 4th thru 8th and $90 for 3rd graders. 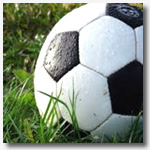 Fall Soccer is available for Boys and Girls in grades Kindergarten through 4th only. Games are played twice a week. The days depend on the grade. This is an instructional season so no score is kept therefore no standing will be kept either. For the Fall of 2018, it is open to all St. Linus School students and St. Linus Religious Education students who will be in Kindergarten thru 4th grade next season. The Fall soccer fee is $95. Attention St. Linus RE Families - Please note that ALL current fees and any past balances must be paid BEFORE Sacraments are received and FULL payment made before participation on ANY St. Linus Athletic Team(s). 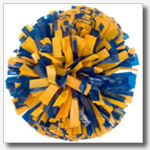 Football Cheerleading is open to grades Kindergarten thru 8th. Practices are typically one day a week, usually Wednesday. We cheer at home games and sometimes JV and Varsity do an away game. The season typically goes from late summer till October / November. For the Fall of 2018, it is open to all St. Linus School students, St. Linus Religious Education students and St. Germaine Religious Education students who will be in kindergarten thru 8th grade next season. The football cheer fee is $40 (Varsity Cheer – bring your daughter’s specific sizes for new uniforms). For the Fall of 2019, it is open to all St. Linus School, St. Gerald Schools, and St. Germaine School students and Religious Education students who will be in 4th thru 8th grades next season. Late Fee Policy - A $25 late fee will apply to all registrations submitted after June 1, 2019. NO EXCEPTIONS. If the entire fee cannot be paid at the time of registration, a payment plan must be set-up by May 31, 2019. Mandatory SLAC Raffle - Each family is required to buy 1 - $100 raffle ticket. In order to register your player you must complete the Google registration and Concussion forms by clicking the links below. Also, click on the GiveCentral Pay Now button below (pay online) or leave a check in the SLAC rectory box.